They say it’s natural for pregnant women to turn inward: to begin nurturing and nesting with every waking thought and moment. Who am I to blow against the wind? You haven’t heard a lot from me in the last few months because everything I write lately revolves around the biggest thing on my mind and I wasn’t ready to share it with the world until now. Randall and I found out just before Christmas and have been adjusting our lives and our minds to the idea as we’ve shared the good news with close friends and family over the last few months. 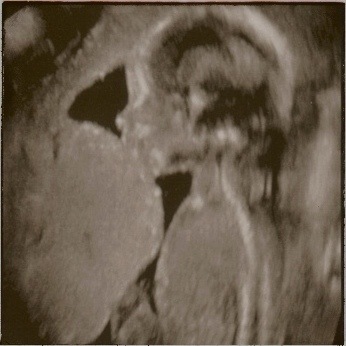 For musicians who make their living by touring pregnancy is not always exciting news, but we couldn’t be more thrilled. And we don’t plan to stop touring. We will welcome this little baby into our world, making room and making time to accommodate him or her however we need to. We also don’t plan to find out if it will be HIM or HER until we meet face to face! The baby is due on August 20th – I’m just about halfway there! There is a season for everything and I distantly recall my own restless, ambitious seasons of work and worry. This is a new season and the edges of my ambition are dulled by a new and steady peace. It feels a bit like passing through a cloud, not for the lack of vision but for the mystery of feeling surrounded by a presence, as if angels are attending me. My womb and my heart expand to make room for a new love – a new way of loving. “There will be time” said TS Elliot “to prepare a face to meet the faces you will meet” There is a brand new face, not yet seen by this world in all of time and history, that I was lucky enough to catch the first fleeting glimpse of, and this new person will be entrusted to my care. I plan to blog more regularly now that the door is open to share what my life is like touring with a baby on the way. I wrote a new song which I will be sharing soon as well. Congratulations Erin & Randy!!!! So, tell me what colors you are going with and I will make you a blanket for the baby!!! Oh, and here’s my big news: I just accepted a position as a Tenure-track Assistant Professor of Accounting at Saginaw Valley State University. So, I am going home (and now, this isn’t April Fools either…I agree there has to be some real announcements on this day too!). I am so excited for the two of you! That’s GREAT Betsy!! So glad you’ll be home in Michigan! I think we prefer primary colors, but we like orange too. . . Still figuring all that baby decor stuff out! much love to you! Okay, I’ll put something together! I am so excited for both of you! I strongly recommend tour read Ina May GaskinS guide to childbirth. It is truly inspiring. If you do please let me know what you think. Thanks for the recommendation! I haven’t read it yet, but one of my close friends also recommended it, so I guess I need to pick it up! Ahhhh! I’m so excited for you! Congrats to both of you. Awesome! Congratulations to you both! How beautiful and exciting! Congratulations 🙂 Much love and blessings!